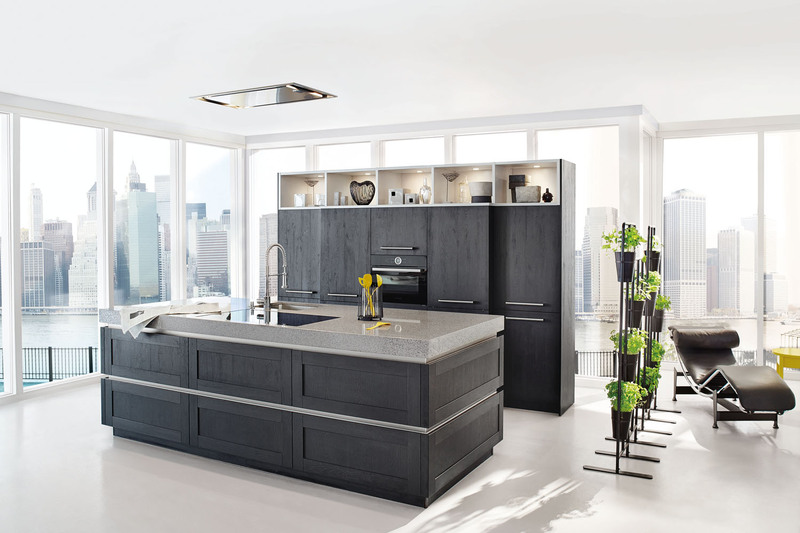 The GL 4031 by Ballerina Küchen uses an all new material - SmartGlas, to create a unique, modern living kitchen. The kitchen from Smartglas has a generous planning as a living room and combines modernity and comfort through the color mix and the material design. Smart glass, a new material that brings elegance of superlatives into the home. The polymer glass combines all practical properties with high - quality optics and is scratch - resistant, hygienically clean, color - stable and UV-stable, shock-resistant, easy to clean, writable with whiteboard markers, extremely stable and variable in shape. Table and sideboard are also made of smart glass and form a generous living space with the kitchen. The booths function as a room divider and offer plenty of storage space with pharmacy cabinets and order systems for extracts. 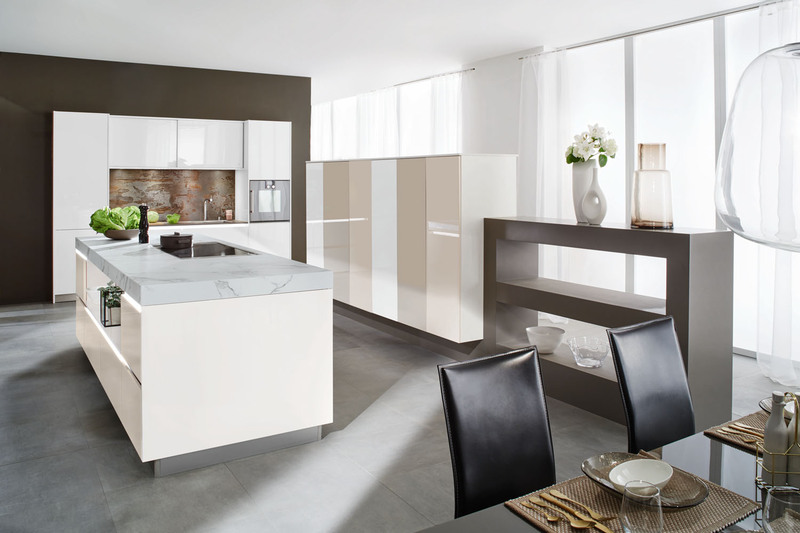 This dream kitchen is available in all colours from Ballerina.